Mindfully Merry: How to Stay Present this Holiday Season - Dr. Jamie Long, Psy.D. The Holiday season is here and with that can bring a mixed bag of emotions: excitement, cheer, stress, exhaustion and even guilt. With all that is happening this time of year, it’s easy to get distracted and overwhelmed. Want to stay present? First, know this: just simply being in the moment is not a mindfulness cure-all. Practicing mindfulness effectively is about knowing when it’s adaptive to fully embrace life’s experiences and when to deliberately engage in avoidance. It requires judgment and the ability to discern what’s best for YOU. 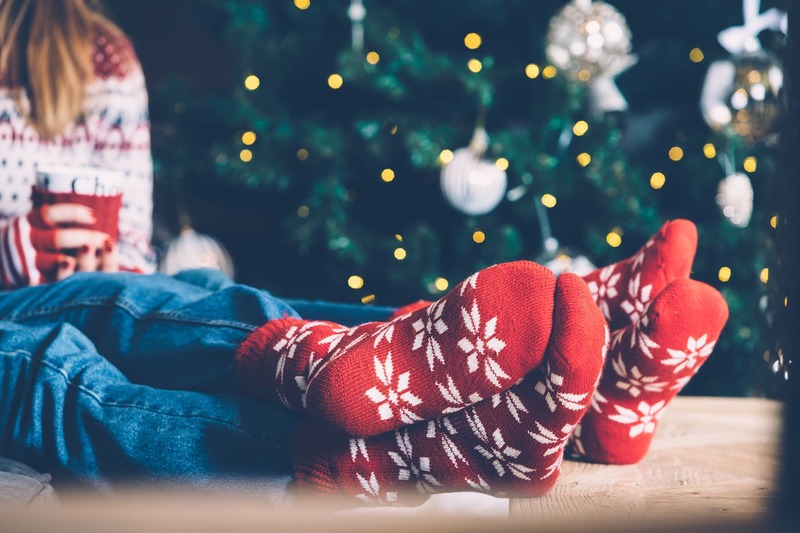 Here are three tips on how to practice intentional mindfulness and embrace the spirit of the holidays. Focus on quality time with loved ones. Families come together to celebrate the holidays and what a wonderful tradition that can be. However, a few minutes after the greetings and cheer some of us may start to remember why we see these folks so seldom. To practice mindfulness effectively here is to separate when it’s adaptive to cope with challenges and when to thoughtfully disengage as to not drown in unpleasant emotions. Assuming your family isn’t toxic for you, be aware of “checking out” behaviors such as mindlessly escaping to your Instagram feed. Instead, consciously choose to focus on quality time with realistic expectations. Engage in the conversations around you without distractions of multi-tasking, the TV or your smartphone. Slow down. Be interested. Listen. Tolerate your differences. Choose not to feel guilty. Cookies, and sweets, and libations! Oh my! With every get-together comes the treats of the season encouraging us to mindlessly over-eat. True, it’s not a good idea to throw your nutritional needs out the sleigh, as a diet fueled by candy canes and sea-salt-caramel-hot-chocolates can only take you so far. Conversely, restriction and compensation will leave us feeling unsatisfied. We are meant to enjoy food and there is nothing wrong with occasional indulgence. Remember to nourish your body, balancing what you need with what you enjoy. Mindful eating tips: 1) Give yourself permission to enjoy food. 2) Eat slowly, reveling the flavors. 3) Honor your hunger and listen to fullness. 4) Choose not to feel guilty. We tend to overbook our calendars these next few weeks with holiday parties and cookie swaps. Pay attention to your energy levels! Listen to your body telling you you’re in need of much needed solo-time (even if just for a few minutes). Enjoy a hot cup of cocoa in a quiet space, meditate, do some yoga, book a spa treatment. If you spread yourself too thin you’ll be lucky to make it to New Year’s Eve! Remember, if you’re too busy to take care of yourself, you’re too busy. We can choose to be mindful and stay present, no matter how hectic it gets. Remember that you are not alone in feeling overwhelmed but in the end you’re responsible for your own state of mind. Taking care of yourself is essential in order to fully enjoy this magical time of year! Follow Finding Cloud9 on Facebook, Twitter and Pinterest! Follow Dr. Jamie on Facebook.